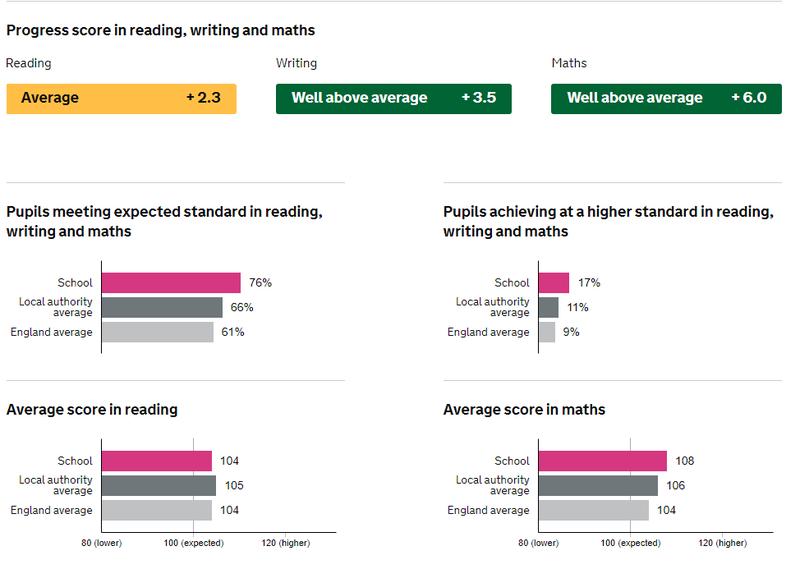 A table showing the latest EYFS (GDP), Phonics, Years 1 and 2, KS1 SATs (Reading, Writing, Maths) and KS2 SATs (Reading, Writing, Maths, Spelling, Punctuation and Grammar (SPaG), Reading, Writing, Maths combined – compared to National data. Find out more about the curriculum we follow. Write.Inc. Requests for copies: A paper copy of the school website information can be obtained free of charge via the school office. All education during school hours is free. We do not charge for any activity undertaken as part of the National Curriculum. This policy is monitored by the governing body, and will be reviewed annually or earlier if necessary. • tuition for pupils learning to play musical instruments if the tuition is required as an essential part of the National Curriculum. When organising school trips or visits to enrich the curriculum and the educational experience of the children, the school invites parents to contribute to the cost. All contributions are voluntary. If we do not receive sufficient voluntary contributions, we may have to cancel a trip. If a trip goes ahead, it may include children whose parents have not paid any contribution. We do not treat these children differently from any others. If a parent wishes their child to take part in a school trip or event, but is unwilling or unable to make a voluntary contribution, we do allow the child to participate fully in the trip or activity. If the school organises a residential visit in school time, or mainly in school time, which is to provide education directly related to the National Curriculum, we do not make any charge for the education element. However, parents are obliged to at least pay for the residential expenses of such trips, and we also ask parents to contribute to the full cost of the travel and activity expenses as these are beyond the scope of our main school budget. A savings scheme will operate to allow parents to spread the cost of such trips over a longer period of time. Those parents in receipt of one or more of the credits below may be offered assistance in paying for the trip or a longer period of instalments will be made available to enable their child to access the activity. What is PE & Sport Premium funding? The PE & Sport Premium is additional government funding aimed at making additional and sustainable improvements to the quality of PE and Sport. The Department for Education announced a new funding initiative for primary school sport, aimed at Building on the legacy of the London 2012 Olympic and Paralympic Games. Primary schools receive funding each year to make additional and sustainable improvements to participation in extra-curricular sport. At Beecholme primary we plan to use the sport premium funding to drive standards and progress in PE Lessons. Schools receive PE and sport premium funding based on the number of pupils in Years 1- 6. School with 17 or more eligible pupils receive £8000 and an additional payment of £5 per pupil. How is the school planning to spend its PE & Sport Premium allocation? Following new legislation, Beecholme aim to ensure all pupils in Year 6 are competent swimmers with the ability to swim at least 25 metres. Our current cohort who can swim confidently and proficiently is 53.33%. Beecholme plan to use the sport funding to provide additional swimming provision for pupils that are struggling to meet the requirements set by the national curriculum. To ensure compliance, we have arranged booster sessions for 14 pupils in the Summer term.